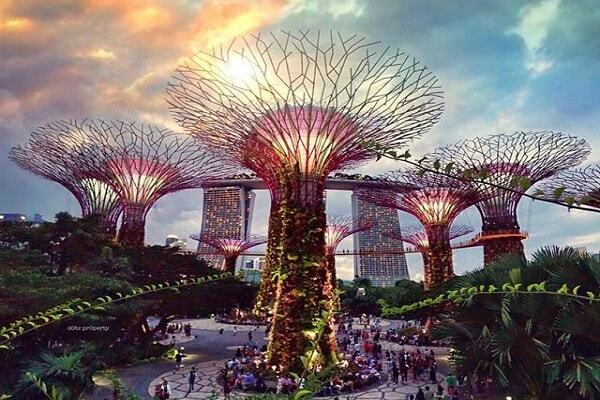 An integral part of Singapore's "City in a Garden" vision, Gardens by the Bay spans a total of 101 hectares of prime land at the heart of Singapore's new downtown - Marina Bay. Comprising three waterfront gardens - Bay South, Bay East and Bay Central - Gardens by the Bay will be a showcase of horticulture and garden artistry that will bring the world of plants to Singapore and present Singapore to the World. Guided by its vision to be a world of gardens for all to own, enjoy and cherish, Gardens by the Bay has earned numerous awards and accolades including the World Building of the Year in 2012, the President’s Design Award (Singapore) in 2013, the Outstanding Achievement Award by the Themed Entertainment Association in 2014, the Largest Glass Greenhouse (Flower Dome) in the Guinness World Records for 2015, and the TripAdvisor Certificate of Excellence in 2016. These achievements are testament to the ongoing excellence of the Gardens and spur the team towards attaining greater success.